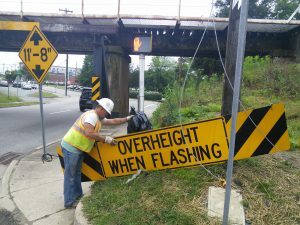 Today the old “Overheight when Flashing” sign was taken down. This is the end of an era here at the 11foot8 bridge. I’d love a closer photo of the new sign, maybe even a video.